Orienteering throughout the junior years is a great opportunity to build friendships with some fantastic people throughout the country and beyond. If lucky enough to make the New Zealand Junior World Orienteering Championships (“JWOC”) team, then you even get the chance to compete overseas and meet people from all around the world. For more information about opportunities for junior orienteers check out JUNIORS ORIENTEERING. Below are the most recent News/Blog posts that have been tagged "Juniors". To view all news or blog posts start at the homepage. 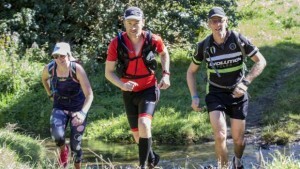 ONZ Compass Point – February 2019- Latest News Updates including View from the Chair; 2019 Council Elections; High Performance Update; Event Liaison Update; have your Say on Trophies and Southern Cross Challenge (NZ Schools Team); MTBO Controlling and Organising Workshop; Condolences and other news. 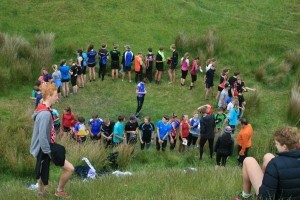 ONZ Compass Point – November/December 2018- Orienteering NZ News, Updates, and with the end of the year approaching fast, its timely to have a look at what's happened in 2018. 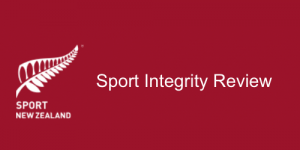 2019 North Island and NZ Secondary School Orienteering Championships Dates/Venues Announced- Dates and venues for the 2019 North Island Secondary Schools Championships and New Zealand Secondary Schools Orienteering Championships have been confirmed. 2018 New Zealand Secondary Schools Team Profiles (at 2018 Australian Schools Championships)- Profiles of the New Zealand Secondary Schools Team competing for the Southern Cross Trophy against the six Australian states and the Australian Capital Territory in the 2018 Australian Schools Championships, part of the 2018 Australian Orienteering Champs Carnival 29 September - 7 October 2018. 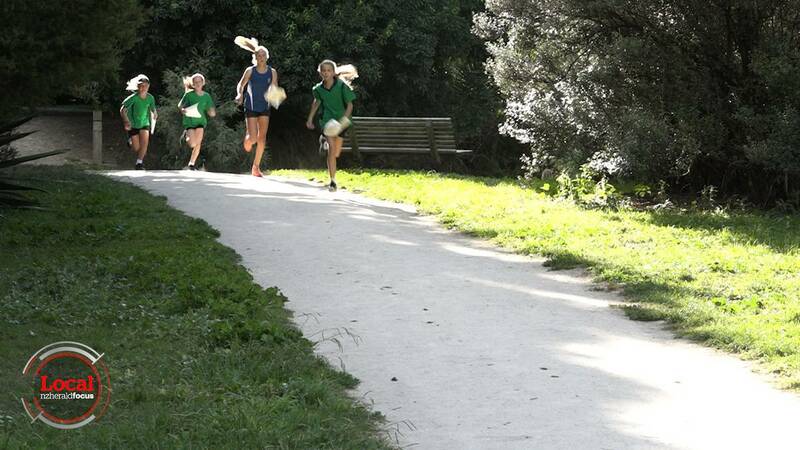 Read all news tagged "Juniors"
Local Focus: Kids loving cunning running (Video – NZ Herald)- Video - Orienteering engages youths' minds and bodies. Made with funding from NZ On Air. 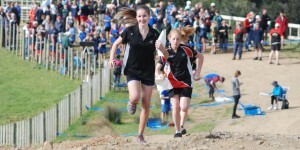 At this week's Hawke's Bay Schools Sprint Championship there were 267 entries. JWOC 2019: Terrain and Old Maps available- Bulletins 1 and 2, Terrain and Old Maps available for JWOC 2019 being held in Denmark 6-12 July 2019. Notice for NZ participants attending Australian Relay Championships, Sunday 30th Sept 2018- Jean Cory-Wright is coordinating all NZ teams for the Australian Relay Championships event on Sunday 30th Sept 2018. NZ participants are asked to contact Jean with additional details. Clued-up kids get orienteering course back on track (Stuff Marlborough-Express)- Tattered markers on an orienteering course have received a much needed makeover thanks to a team of clued-up kids. 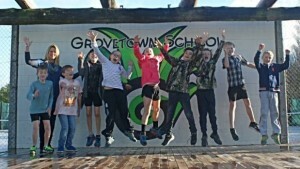 Year 6 students at Grovetown School near Blenheim have given a new lease of life to the orienteering course at Mistletoe Bay Eco Village in the Marlborough Sounds. Introducing the New Zealand JWOC Team 2018- Meet the NZ team heading to the Junior World Orienteering Champs 2018 being held in Kecskemet, Hungary from 8-15 July 2018. 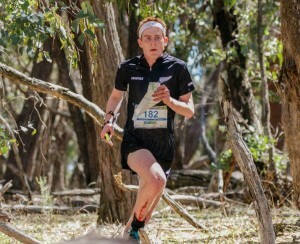 Orienteering: Bay siblings more than ready for worlds (NZ Herald – Hawke’s Bay Today)- If Will Tidswell's dedication is an indicator it's no surprise he will become the youngest Kiwi to compete at the Junior World Orienteering Championships in Hungary in July. 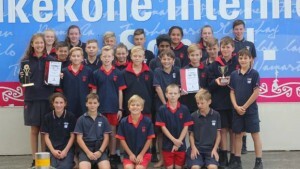 Orienteering Students to Defend North Island Champs Titles (Stuff)- Stuff Article - Pukekohe Intermediate School's best orienteering students are off to the North Island Secondary School Orienteering Championships in Levin this week. The 26 students will be defending their 2017 titles for best overall boys and best over all school. Their success was recently honoured with the Junior Team of the Year prize at the Counties Manukau Sport Franklin Junior Sports Awards and Volunteer Recognition Ceremony. 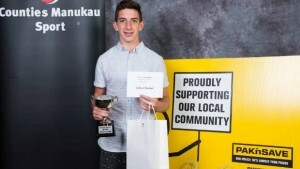 Callum Farmer earns U16 Sportsman of the Year prize at junior sports awards- Navigating unknown fields and running distances of up to 12 kilometres has earned a Pukekohe boy an accolade at this year's Counties Manukau Sport Franklin Junior Sports Awards and Volunteer Recognition Ceremony. Callum Farmer has been orienteering since he was year 7 and now at year 10, Callum is claiming awards and travelling parts of the world for the sport he loves He claimed the Pak'n Save Pukekohe U16 Sportsman of the Year at the recent awards, which were held in Pukekohe, and said he was proud of his achievement. Big chunk of competitors in orienteering event schoolkids (Stuff)- Stuff newspaper article: Schoolchildren were well-represented at a Geraldine orienteering event at the weekend, with one third of the 357 competitors aged 11 to 18. Event controller Mike Harding said his hope for the Geraldine Rogaine Autumn Muster, held near Woodbury on Sunday, was to get young people interested in orienteering, so he was pleased with the turnout. "Quite a few families too," he said. Vacancies: Pre-Junior World Orienteering Championships (JWOC) Training Coach and JWOC Coach 2018- Orienteering NZ is looking for a pre-JWOC Coach to work with those orienteers wishing to trial for JWOC and those selected to better prepare for the event. In addition, ONZ is asking for applications for the JWOC Coach that will travel with the team to Hungary in July 2018 continuing with training onsite and during JWOC. Read all news and blog posts tagged "Juniors"